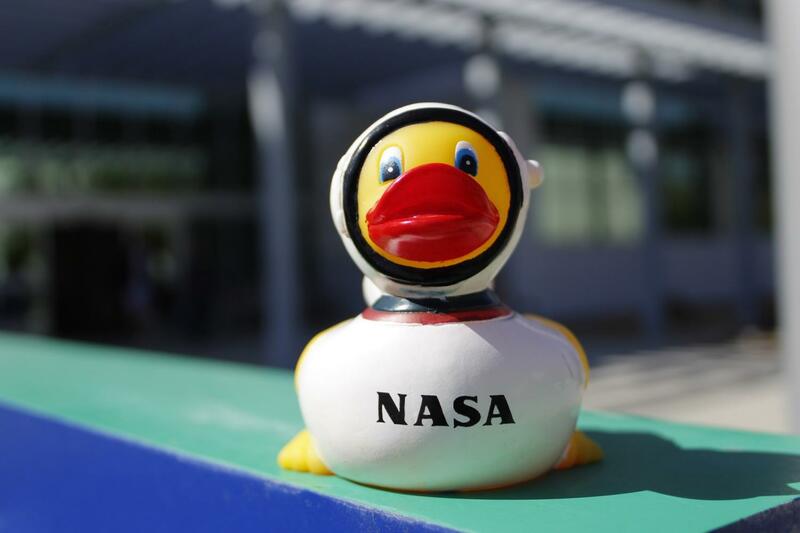 One of the many NASA ducks Yulisa Jimenez hopes to collect in the coming years. Yulisa Jimenez is a physics major at Cerritos College who was very intimidated when she began and questioned her ability to pursue something like exploring space. “I didn’t believe in myself and it was just really hard, but there weren’t really any reasons. It was just a lot of self doubt,” Jimenez said. 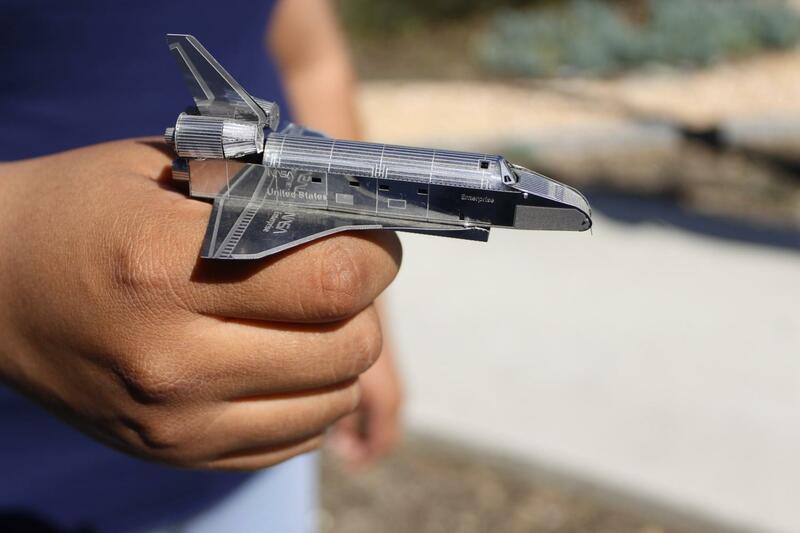 The NASA Community College Aerospace Scholars program is aimed specifically at community college students around the country. 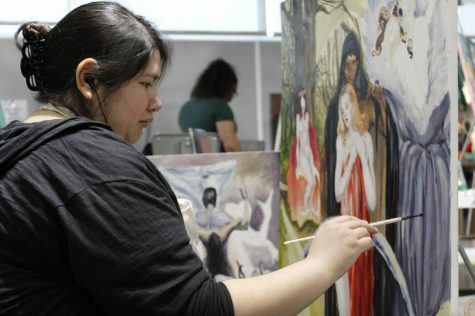 Jimenez was drawn to this program for the specific reason that it was focused primarily on community colleges and she decided to take a risk. It wasn’t until she went to attend the NCAS program the summer of 2017 where she began to have a changed mindset on how this experience was going to affect her positively. “Throughout the experience, I let those guards down and I was just being myself. “I found out through that as well, that this was something I really liked,” Jimenez said. When she came back around the second time for the winter session, Jimenez went in with a different perspective. “It was one of the greatest experiences of my life. I know what I want to do now and how to do it,” Jimenez said. Jimenez holding up the certificate she was given after completing the NCAS program. Being a Latina, Jimenez is motivated by her mentor Ali Guarneros Luna. Along with the wise words from her mentor Luna, many other people from the program are motivating her as well. “I had people telling me that I belonged there, that there was something within in me that will drive me to great lengths,” said Jimenez. 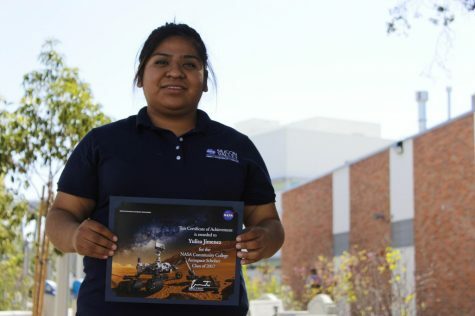 The second time attending the NCAS program, Jimenez was hired as a student assistant, with one week pay along with all the trip expenses covered by NASA. “The main thing was making everyone feel as welcome as I did when I went there. I talked to about 40 people throughout the whole project and I was able to give them tips. “I helped push the networking that NASA taught me,” Jimenez said. Yulisa Jimenez holding the Orion space shuttle she built manually. Her family is from Arantepacua, a very small town in Michoacan, Mexico. Jimenez was raised by a single mother and this affected her in a way where she never had a father figure, as her mom was always working. “Even now I only get to see my mom during weekends because our schedules are opposite, and when I was younger I would only see my mom for two hours a day. “I would have to be self taught because nobody at my house was on [the same level as I was],” said Jimenez. Nonetheless she gets tons of support on what she does from her friends, family, mentors and professors and this helps her deal with her past — one where she didn’t believe in herself. Her peers express motivation towards her by reminding her of the accomplishments. Jimenez was a Compton High School dropout and ended up going to a continuation school, Opportunities For Learning. Jimenez said, “It had gotten to the point where I was stressed out, overwhelmed and depressed. I wasn’t going to classes and I was just mentally damaging myself. Jimenez shared that with her NASA onsite experience she’s been able to grow as a person because the program forced her to try things she wasn’t accustomed to. “I had to work with a team. I had to be professional, but also try to have fun at the same time. Things like that, I believe, are things that allow us to grow as people. 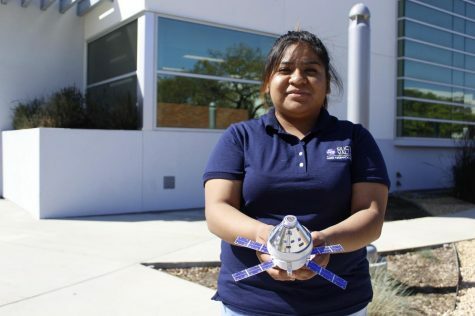 “Especially at NASA, I don’t think I’m worthy of these opportunities and so these experiences make me think otherwise, especially when so many people believe in my abilities and personality,” said Jimenez. 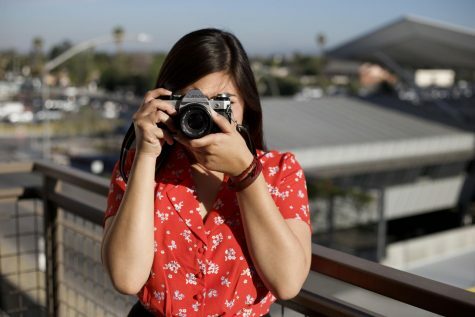 Being able to represent Cerritos College on a big platform, “It’s just great, I feel proud of the place that I came from because I have professors who believe in me and in what I do,” Jimenez said. Although a physics major, Jimenez has always had a passion for music and almost majored in music capable of playing the piano and guitar. Jimenez once had recitals, performances and choir. She also was a vocalist and she still composes music on her free time. Her last recital was in Spring 2016 as she made the switch to a physics major because of her attendance at the NCAS program. “It was very hard for me to make the decision, my friends told me ‘this isn’t the end of music, music will always be there and you can always go back to it’. 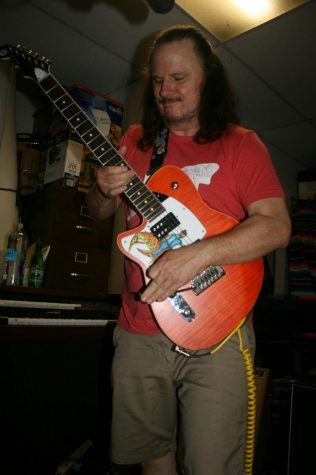 “Every semester I’ve been here, I’ve taken at least one music course,” said Jimenez. She still spends some of her time at the Burnight Center on the Cerritos College campus. 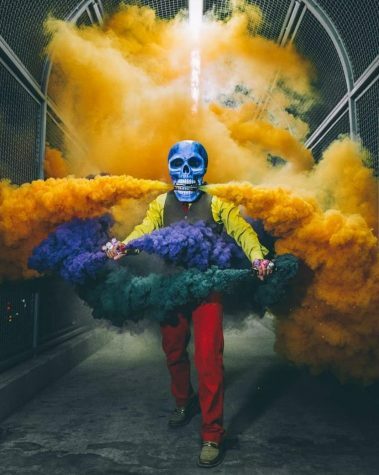 Along with this hobby she also used to play as pitcher and second base in softball, volleyball, soccer and also used to take art classes to destress herself. Jimenez has applied to UC Santa Barbara, UCLA, UC Irvine, UC San Diego and UC Davis and is currently waiting for responses on 12 NASA internships she’s applied to. 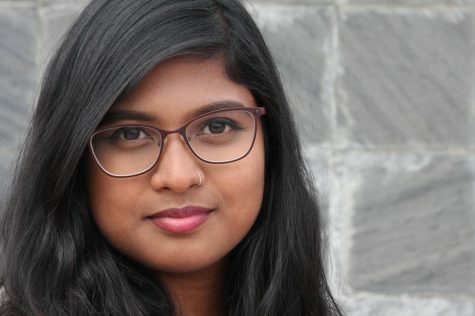 Following that she is applying to a NASA program “Pathways” in which will surely get her a job while working on her education towards a master’s degree. “I now know that I want to work with a company like NASA because I believe in [its] mission statement and [its] values. “I want to motivate and push for education because we need to see the interdisciplinary things between every subject and every major,” said Jimenez. Jimenez has her eye on a certain area of NASA in where she’d like to work in, “I’ve always wanted to be an astronaut since I was a kid. “I never thought that I can do it, it all just seemed so far away and now I have the people who can get me there. A closer look at the Endeavor. The NCAS program consists of former alumni of the program sharing information and their experiences. The NCAS program consists of a five-week online course along with a final project and if selected one is able to participate in an onsite experience at any of the 10 NASA facilities around the country. Fellow Cerritos College students Micah Pratt; mechanical engineering, Luis Domingo Lugo; electrical engineering, David Ramirez; aerospace engineering and Elliot Olivera; mechanical engineering were among many of the students that went through NCAS. According to Pratt, the program requires one to be a full-time student with nine stem units, a letter of recommendation and a 3.0 GPA or above. The NCAS experience motivated Pratt to submit internship applications for a couple of different NASA facilities two days after he returned. Space exploration had Lugo intrigued at a very young age, although he never thought of having the first hand experience, NCAS granted him this opportunity to get more in touch with space. 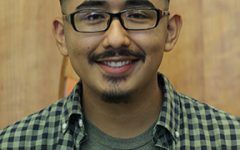 Lugo is on his fifth year at Cerritos College and this experience reinvigorated his spirit towards his major. 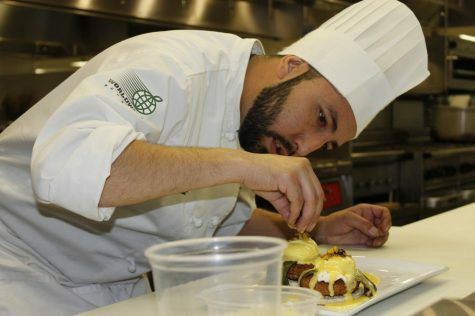 “Working there really fired up my engines to keep pursuing what I’m doing,” said Lugo. Ramirez explained how the experience of working on site with the NCAS program taught him was, how to work with other individuals to achieve common goals. Olvera said, “I thought I knew how to work with a team until I got to NCAS, that’s the biggest impact it had on me. “If you have even the slightest interest in space there’s nothing better you can be doing right now to familiarize yourself with it. “This Fall may be the last chance to ever do this and there will be no other opportunity like it and nothing else will bridge you into a internship with NASA or Space X,” said Pratt. 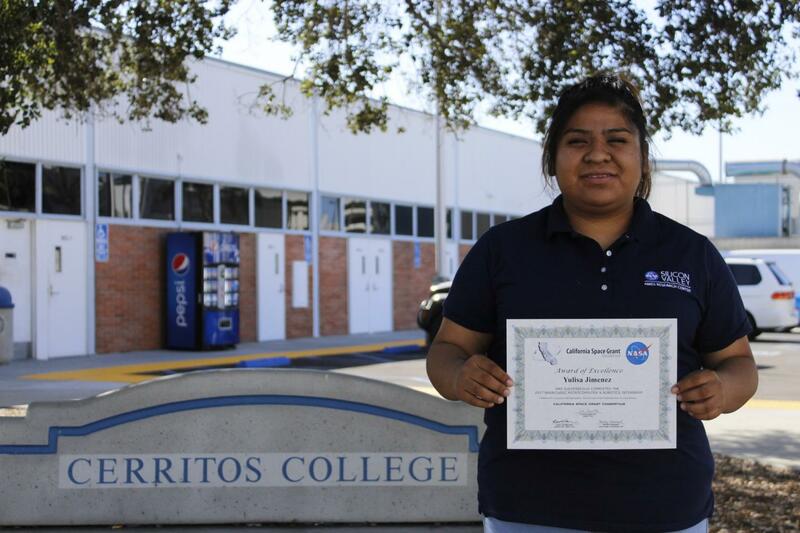 Jimenez holding up her California Space Grant Consortium certificate awarded to her for completion of NASA/CaSGC Microcomputer & Robotics internship. If there is no interest in space at all, again this program is open to students of any major. “One of the biggest things I learned at NASA was to just go for it, dare to do it. NASA is a place where it’s not just about space. Jimenez continues, “NASA will open doors for you, it’s a good place to network and there’s a place for anyone.